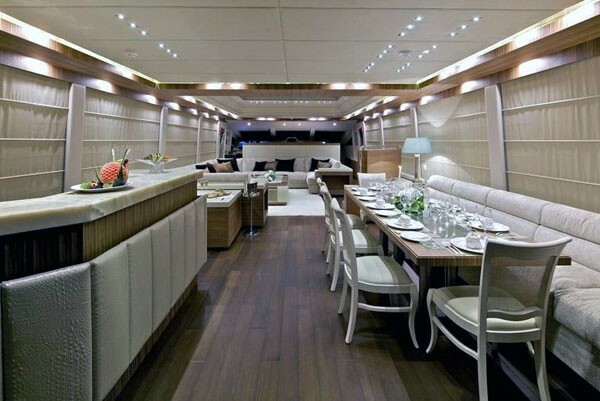 Motor yacht O’PATI (ex O'Rea) is a 2011 motor yacht built by GOLDEN YACHTS and refitted in 2017. This impressive modern superyacht measures 39.50m (129’7’’) and is able to accommodate up to 12 guests in a 5 stateroom layout. 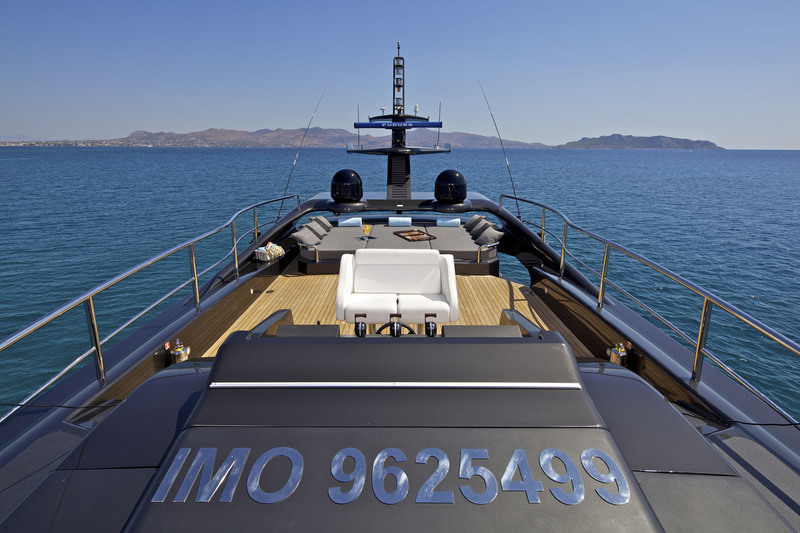 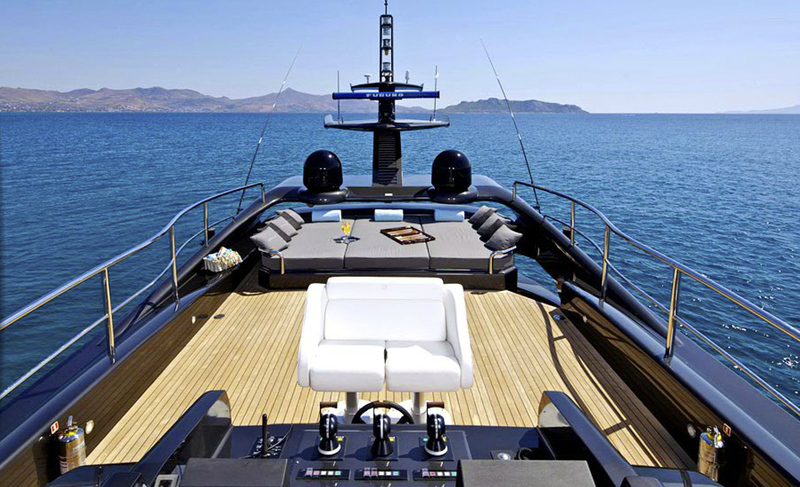 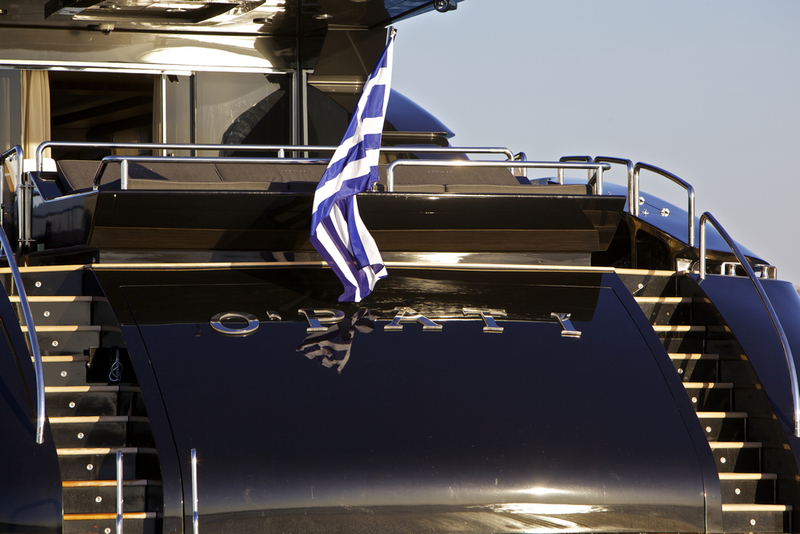 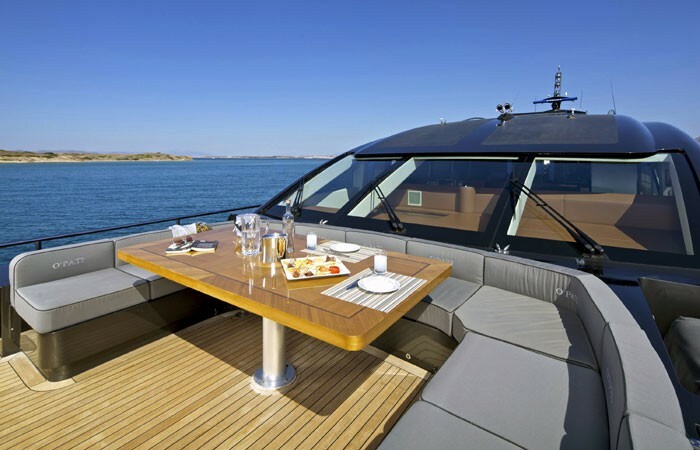 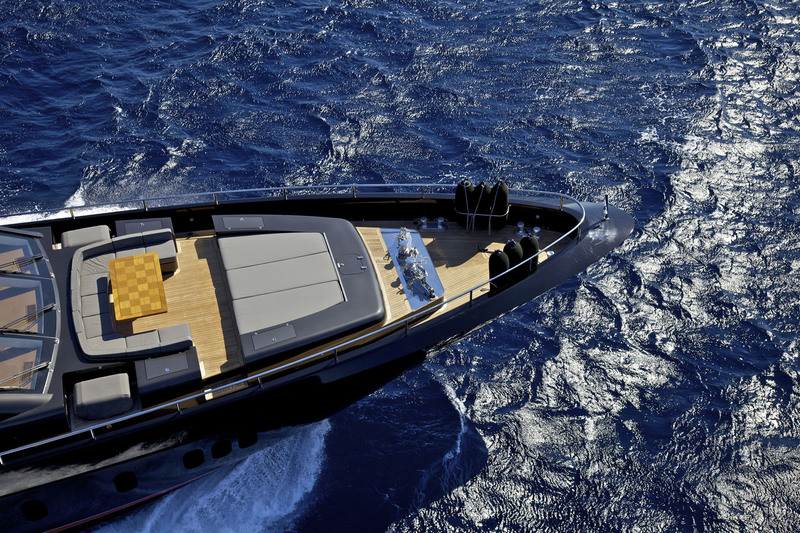 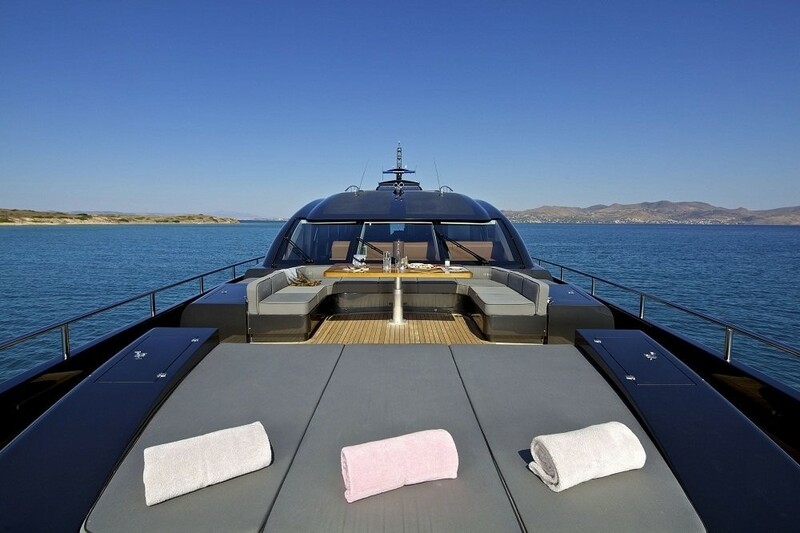 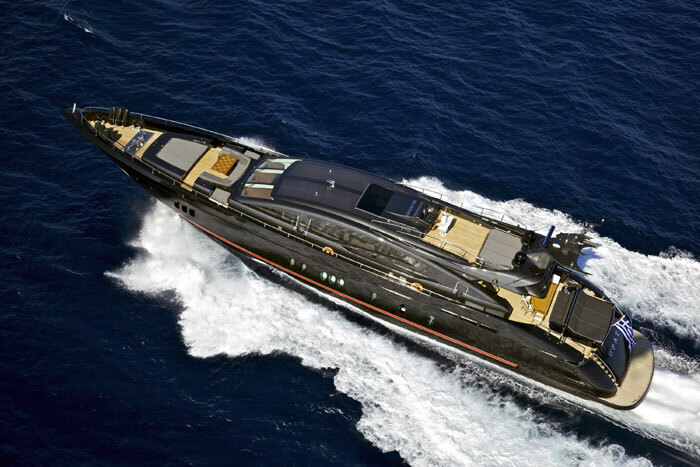 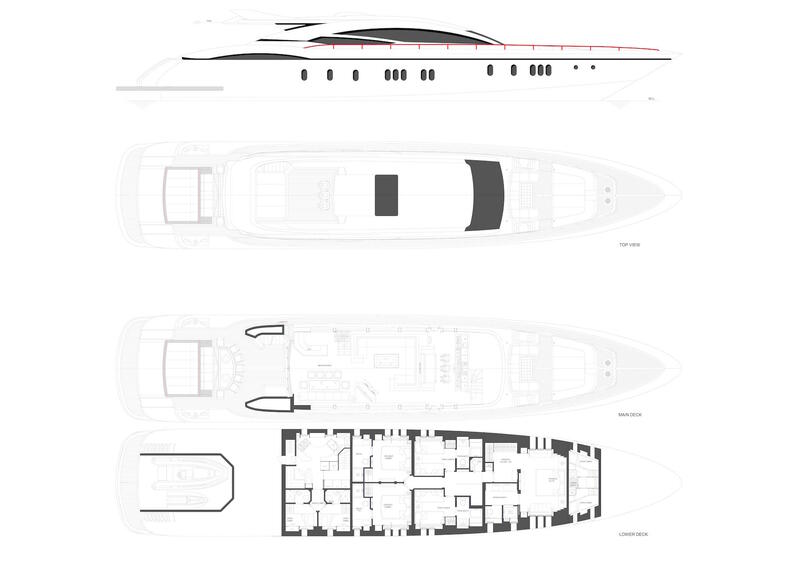 O’PATI features exterior styling and interior design by STUDIO GIORGIO VAFIADIS of Italy, while her naval architecture is by Hydrotec, also from Italy. 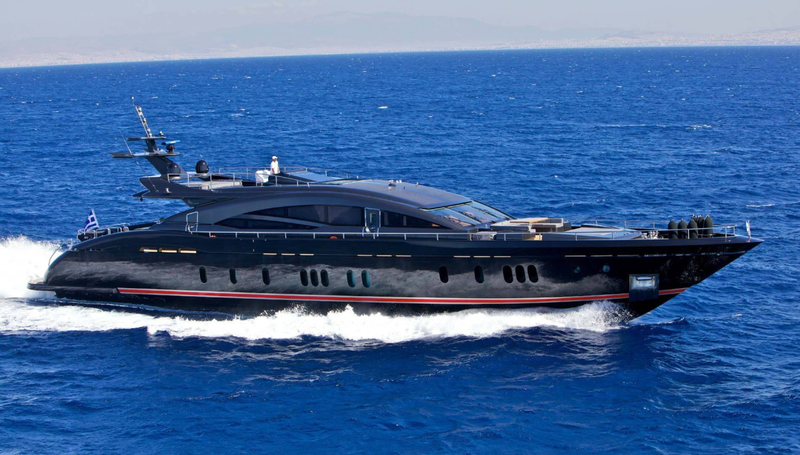 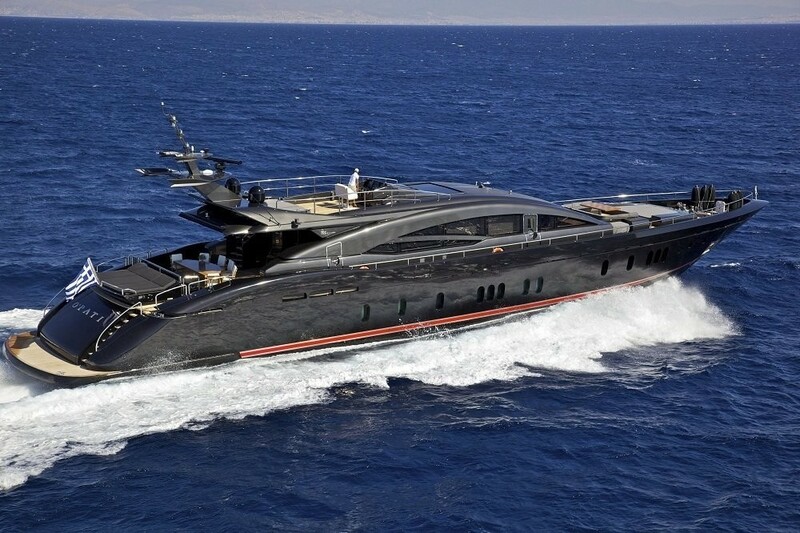 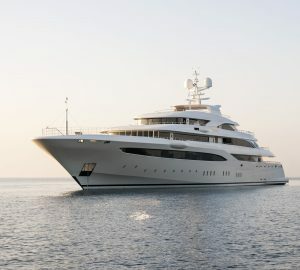 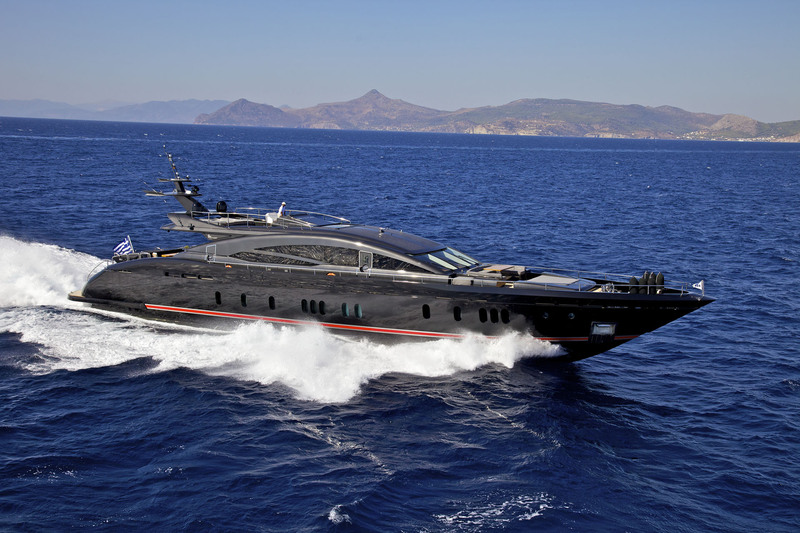 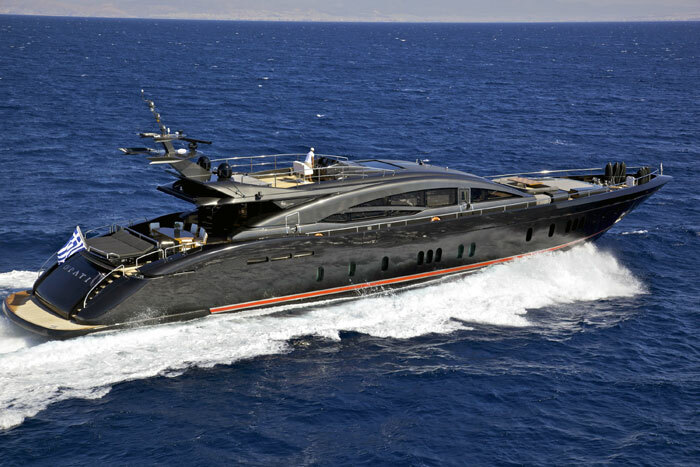 She has received an award for the Best Power Yacht in the 24-40m category at the International Superyacht Society 2012 Design & Leadership Awards. 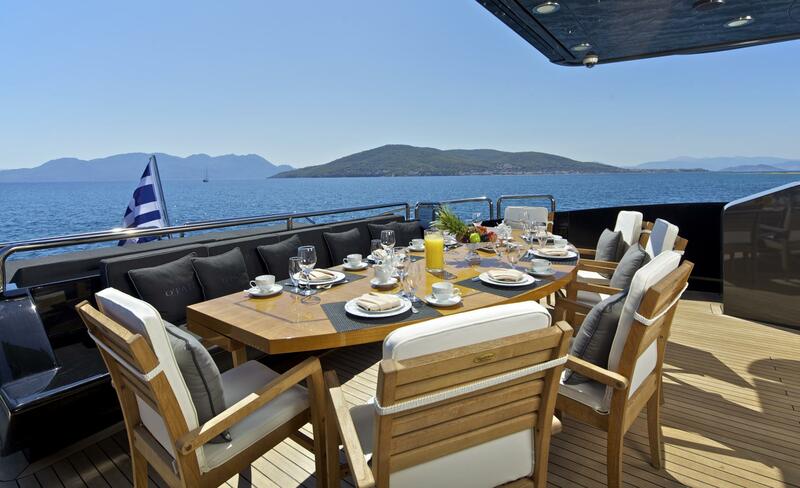 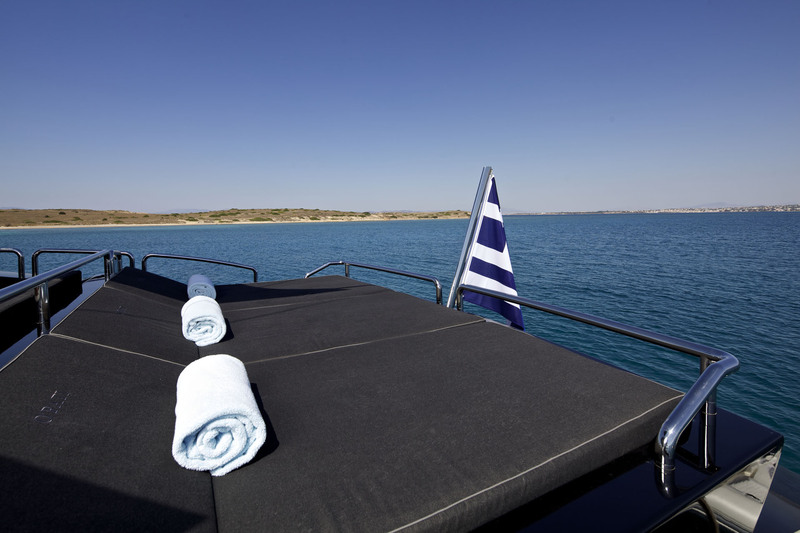 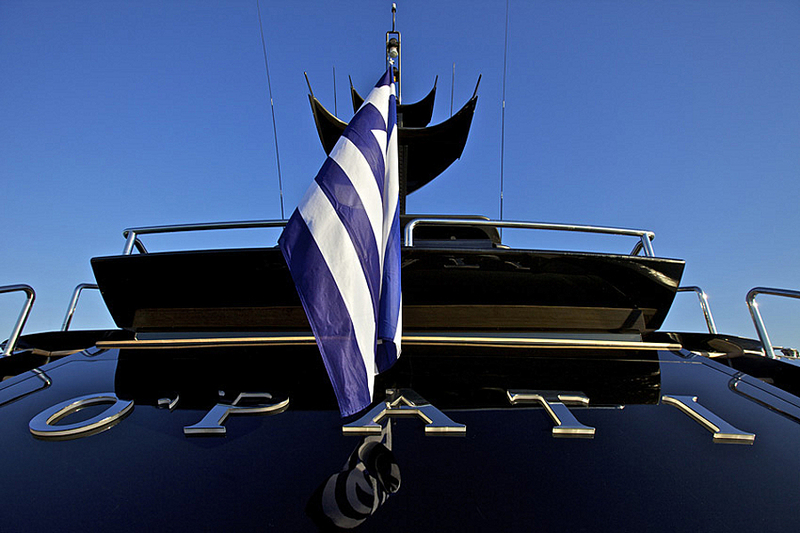 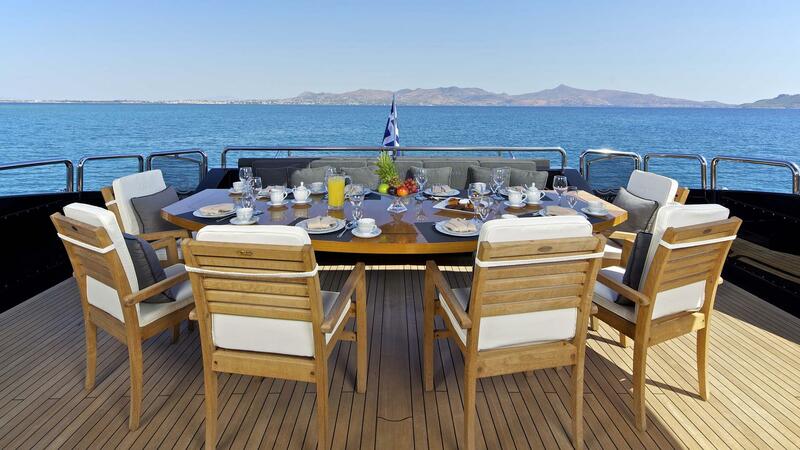 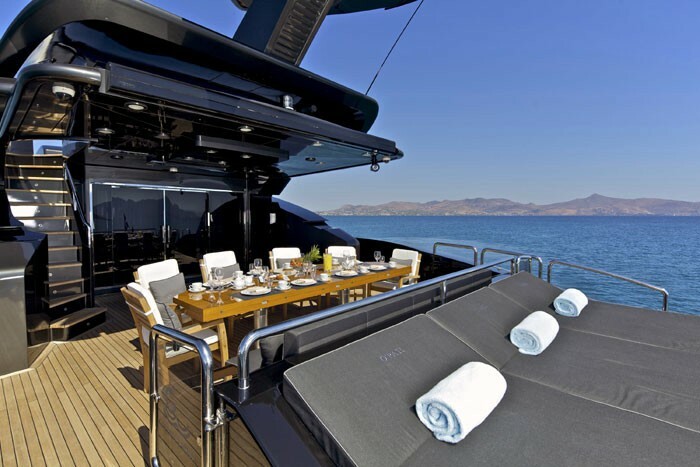 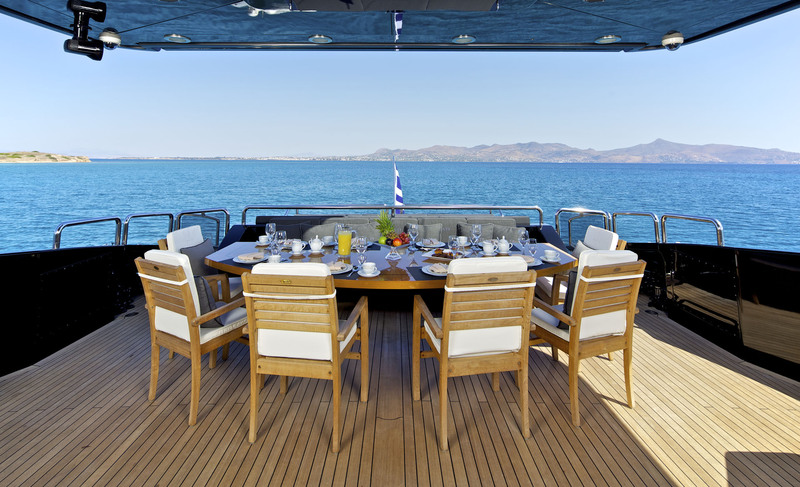 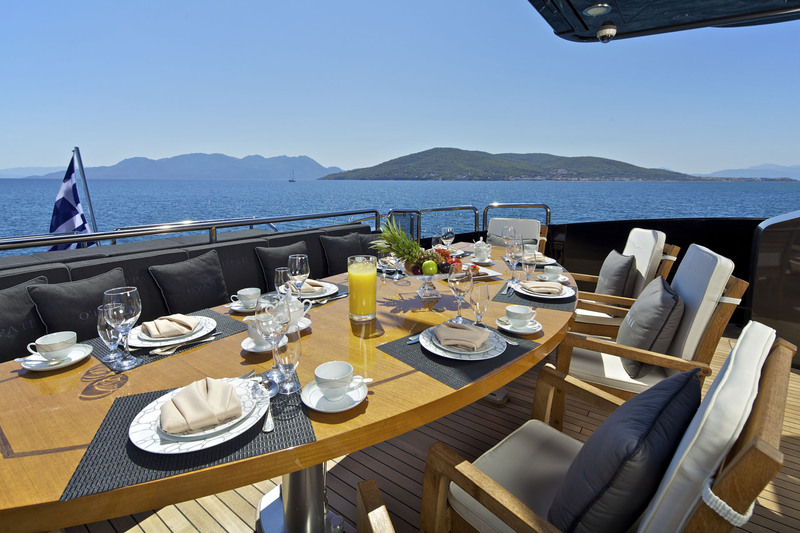 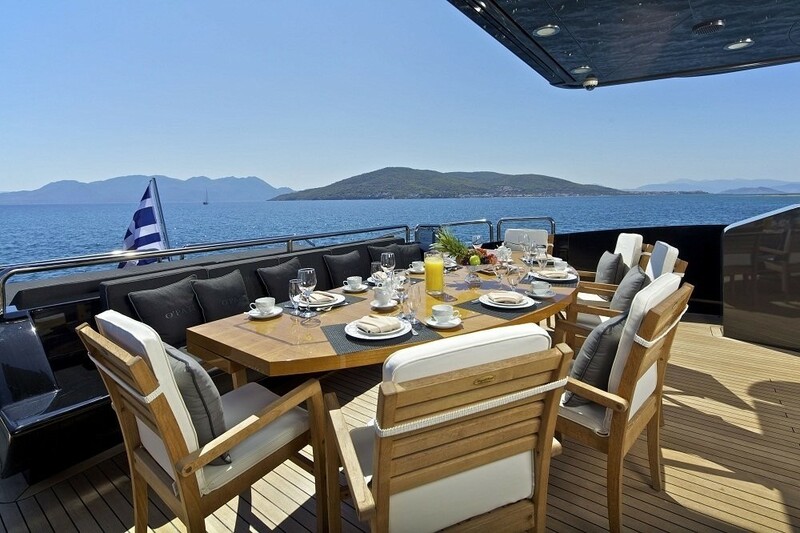 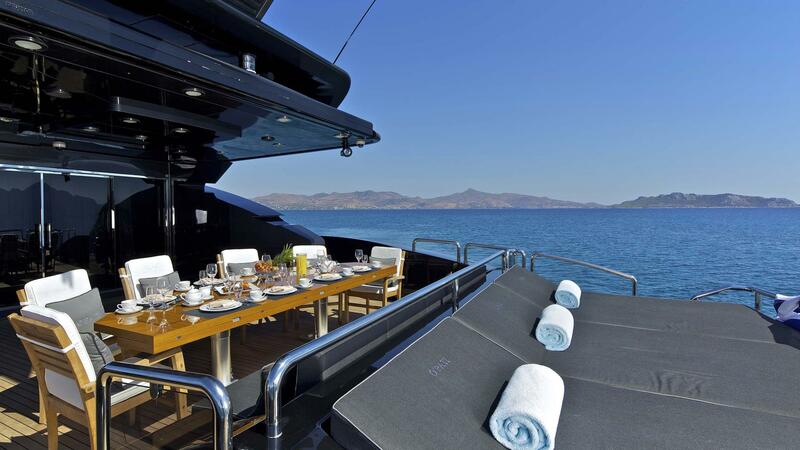 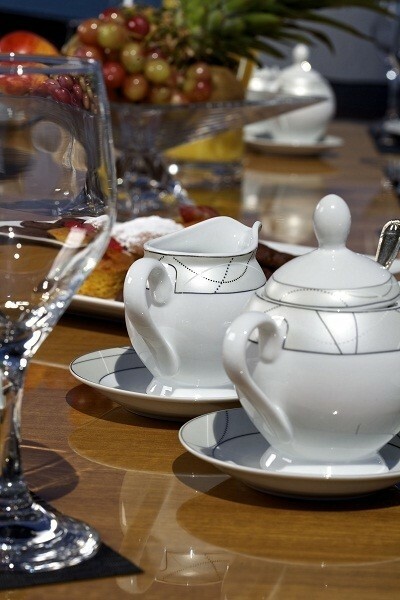 O’PATI is based in Greece and is available for luxury cruising around the Ioninan Sea and the Greek Islands as well as the rest of the Eastern Mediterranean, including Turkey. 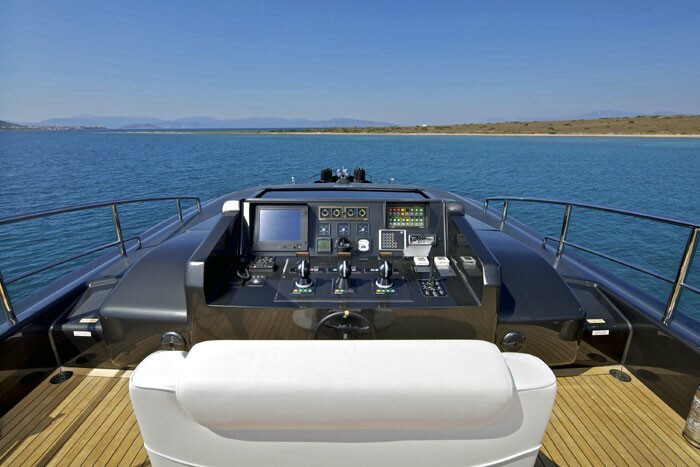 She is powered by three MTU 16V 2000 M91 diesel engines enabling her to reach an impressive maximum speed of 32 knots and a cruising speed of 24 knots, making her an ideal vessel for island hopping. 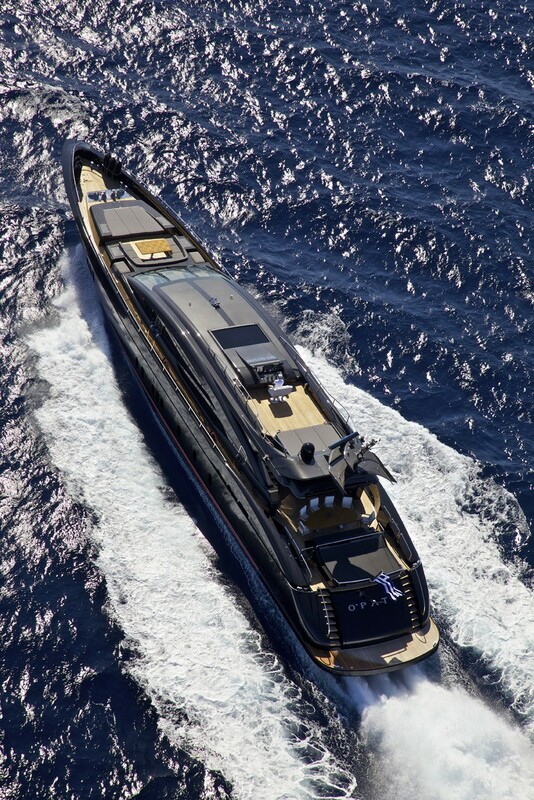 O’Pati has a fuel consumption of 400 litres per hour at an economical speed of 12,5 knots, using two engines. 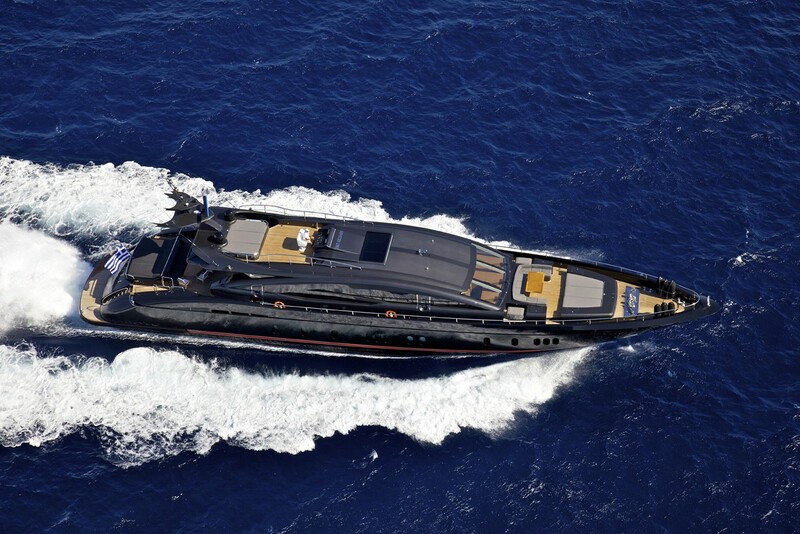 She is fitted with two 50kW Caterpillar C4.4 generators with a consumption of 320 litres per day. 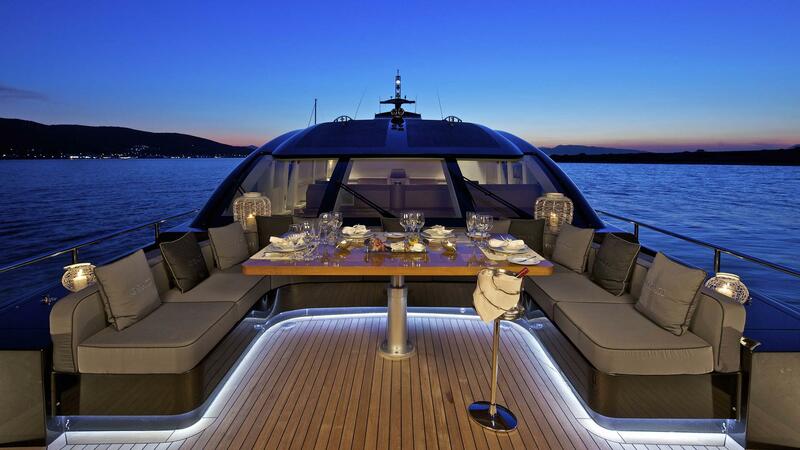 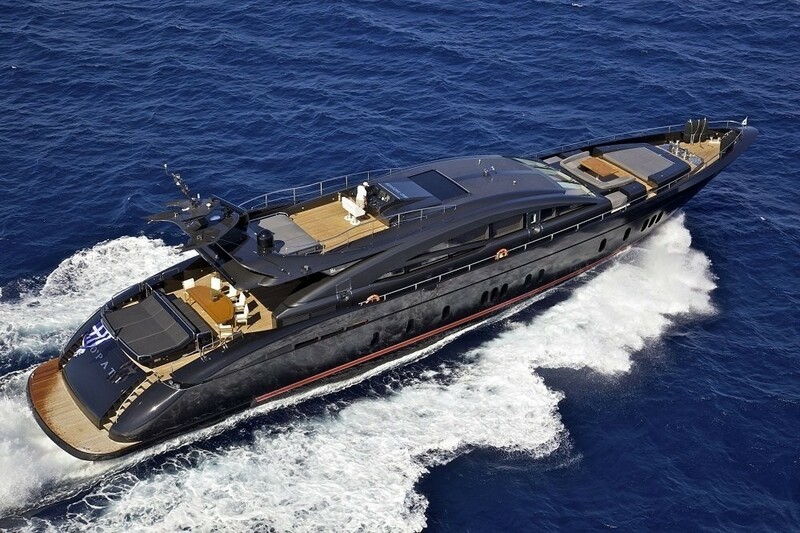 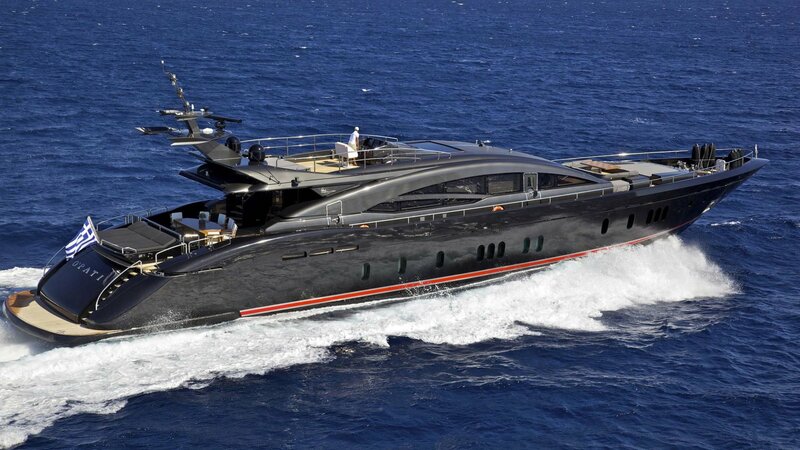 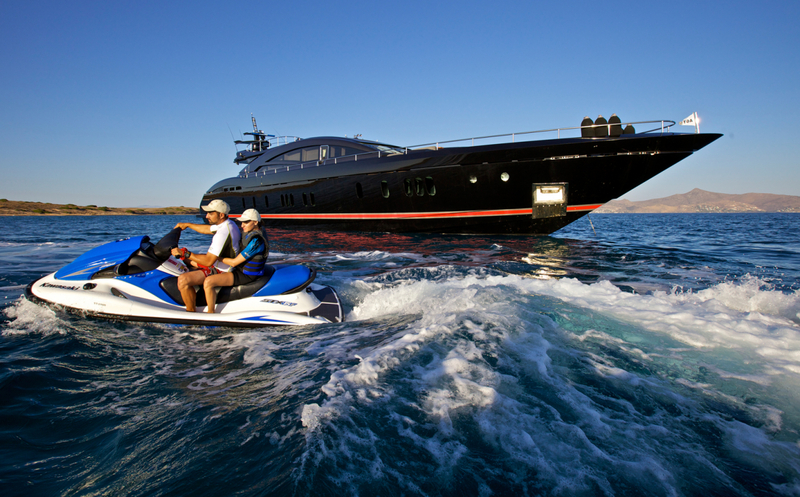 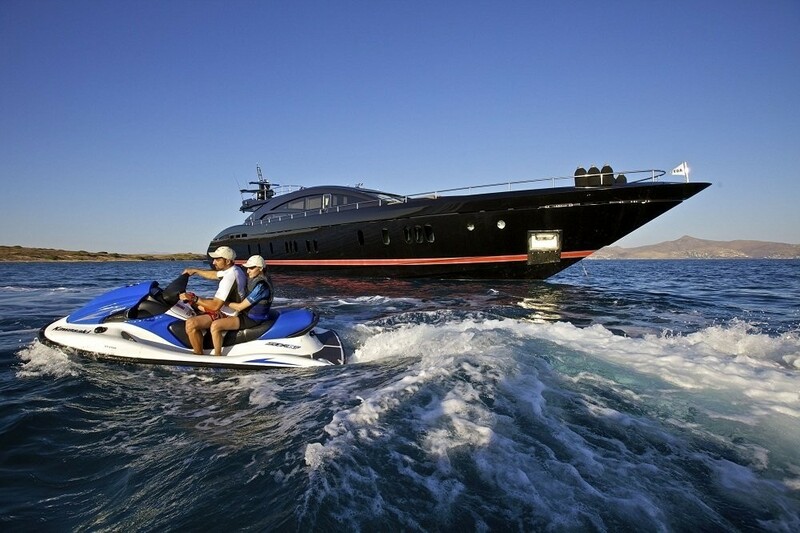 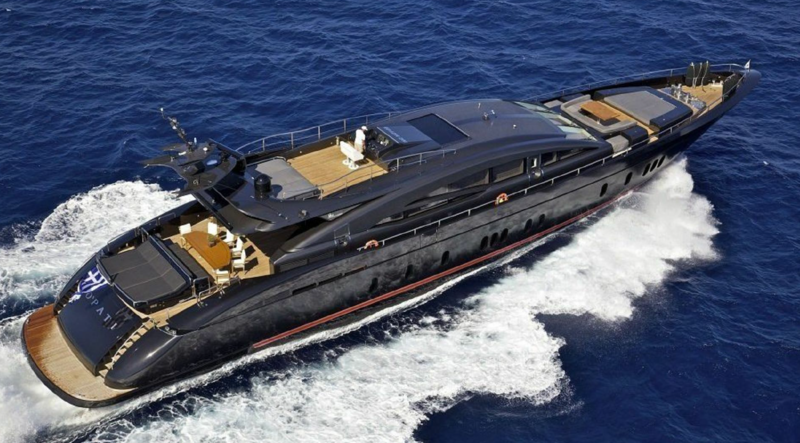 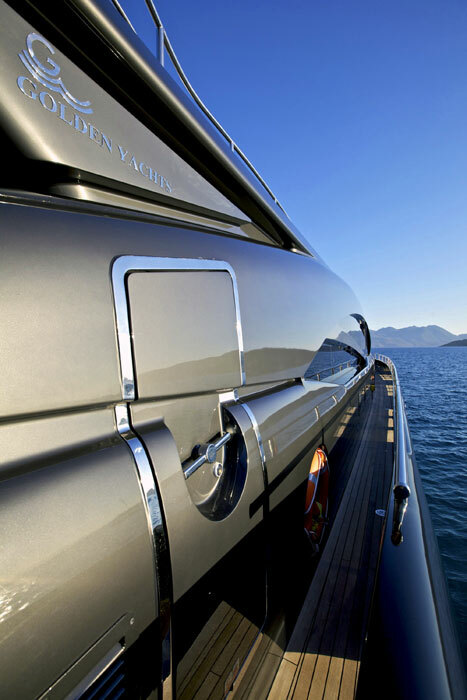 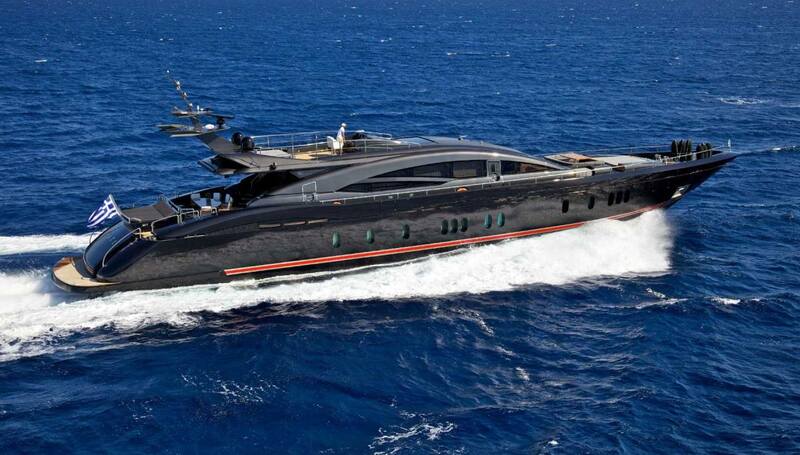 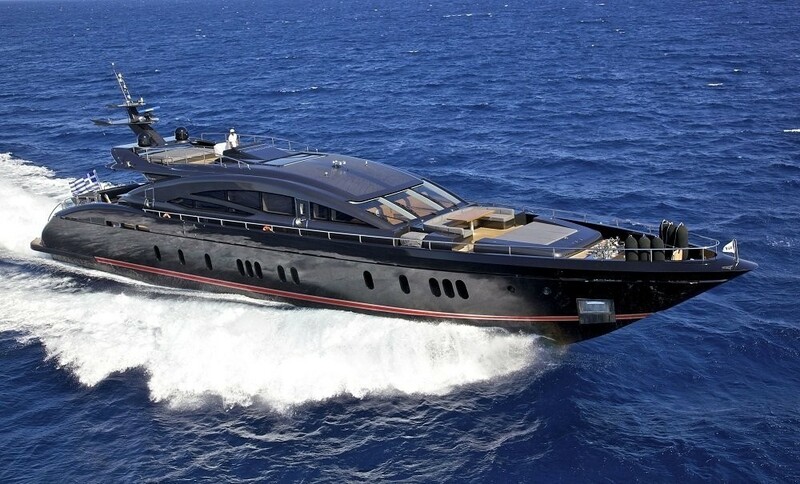 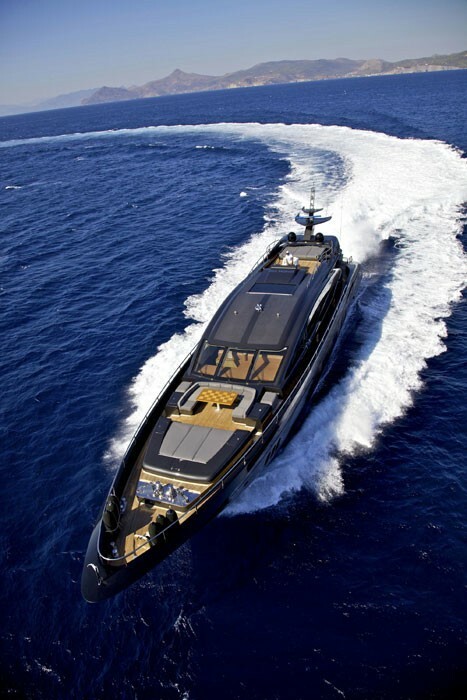 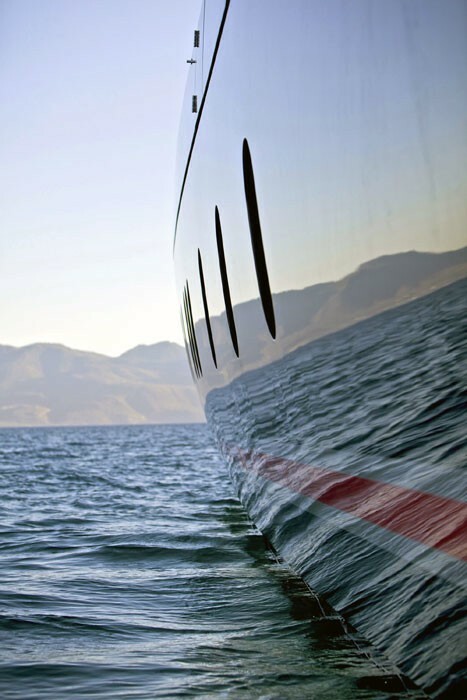 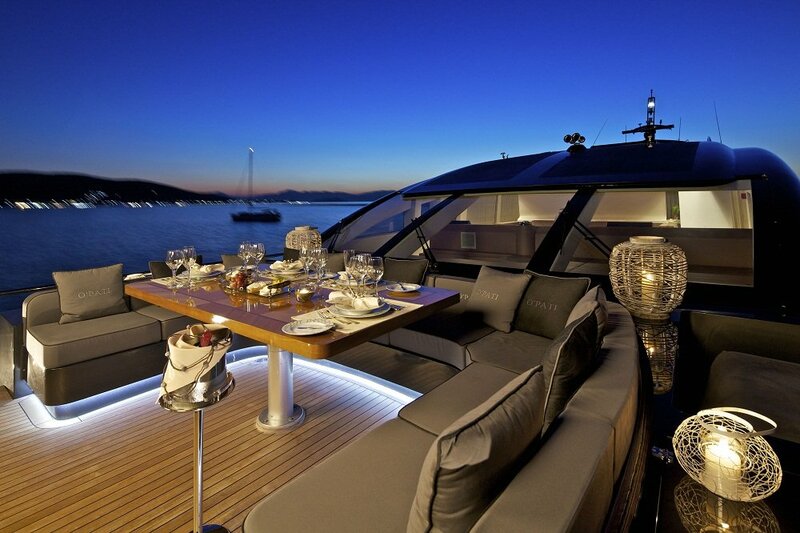 Fuel consumption at 24 knots is 850 litres per hour. 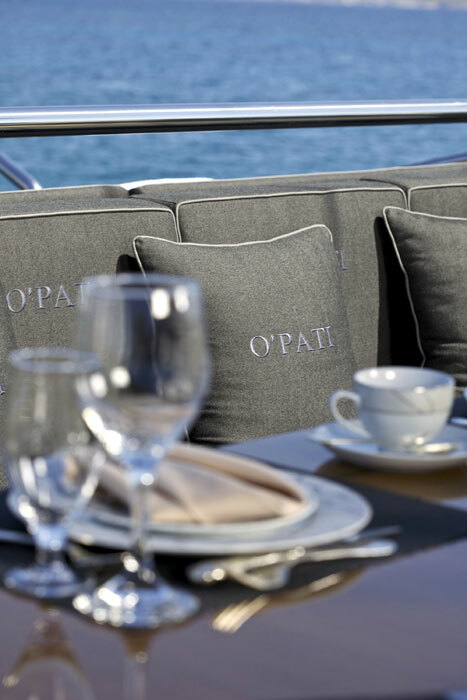 In 2017 O’Pati has received a refit that included an interior makeover, with new carpeting in the VIP and guest cabins, new roman blinds, new Bimini tent as well as new linen. 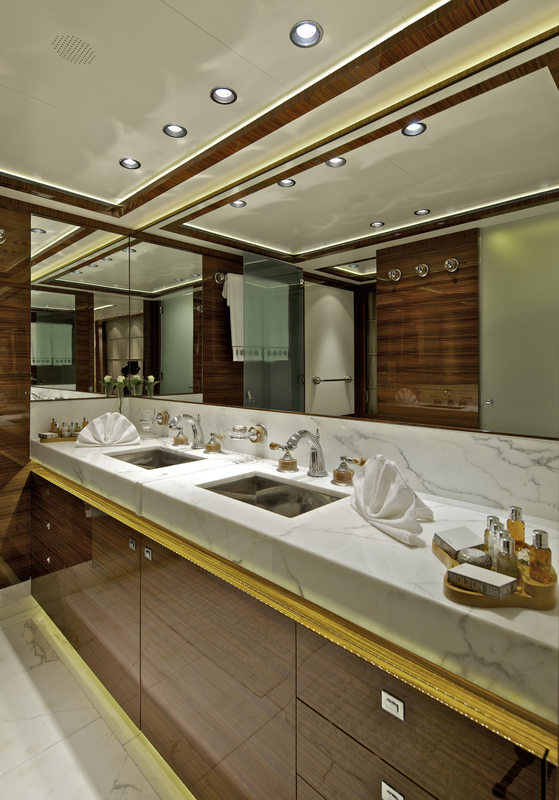 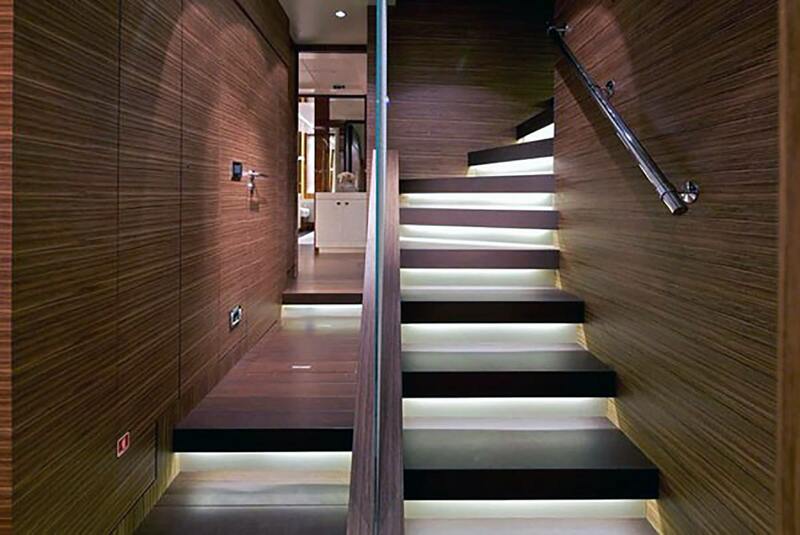 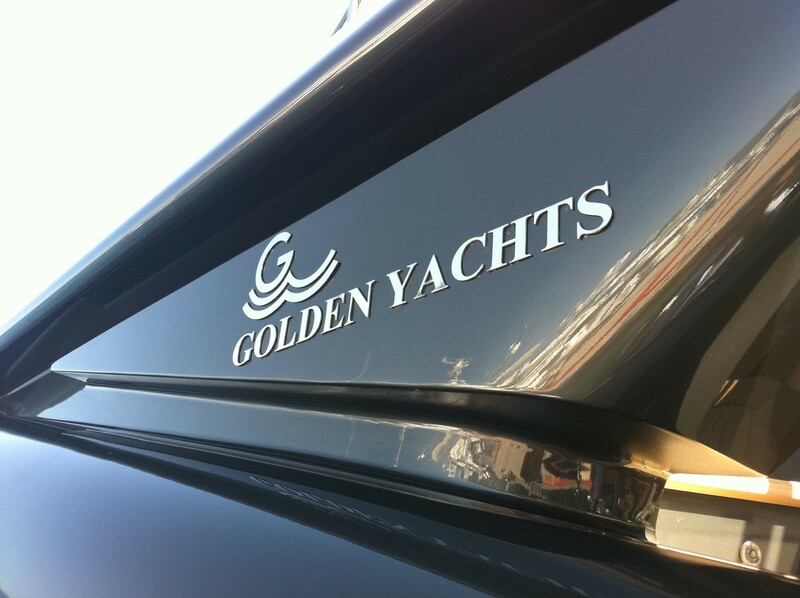 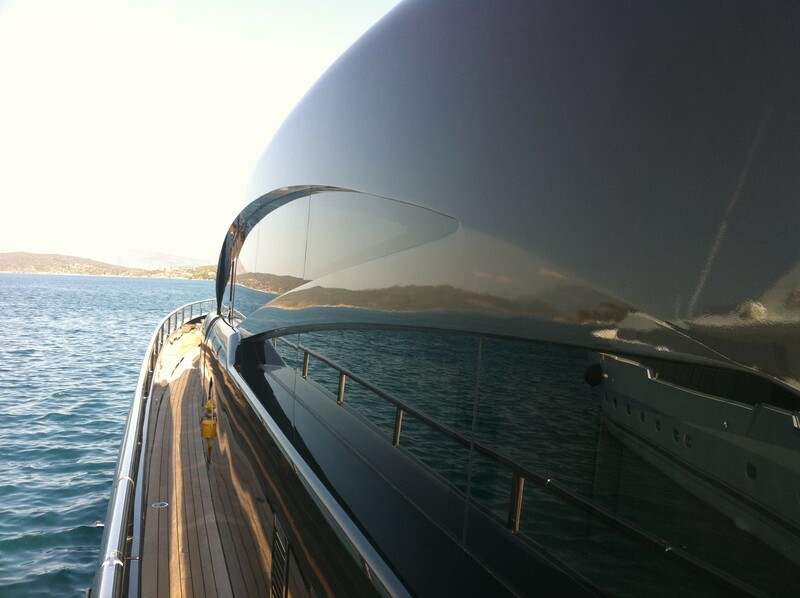 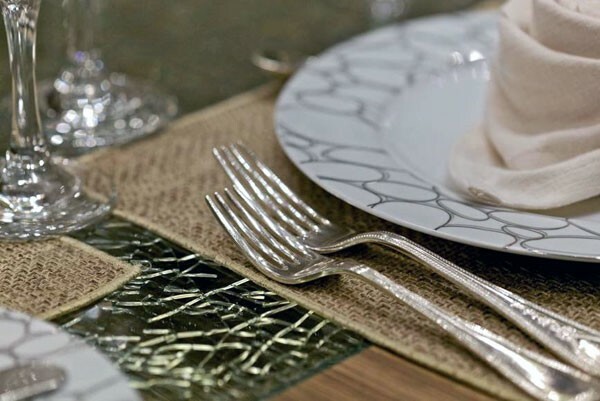 Previous refits were undertaken in 2016, 2015, 2014 and 2013, demonstrating that the yacht is being well taken care of and constantly maintained in a top condition. 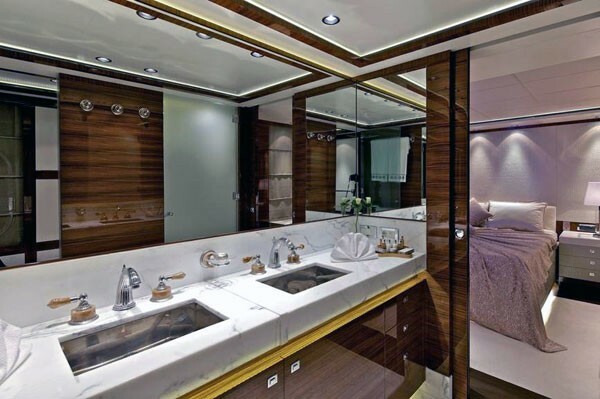 This open-style yacht was built with aluminium hull as well as superstructure and offers three double cabins and two twin cabins in her layout. 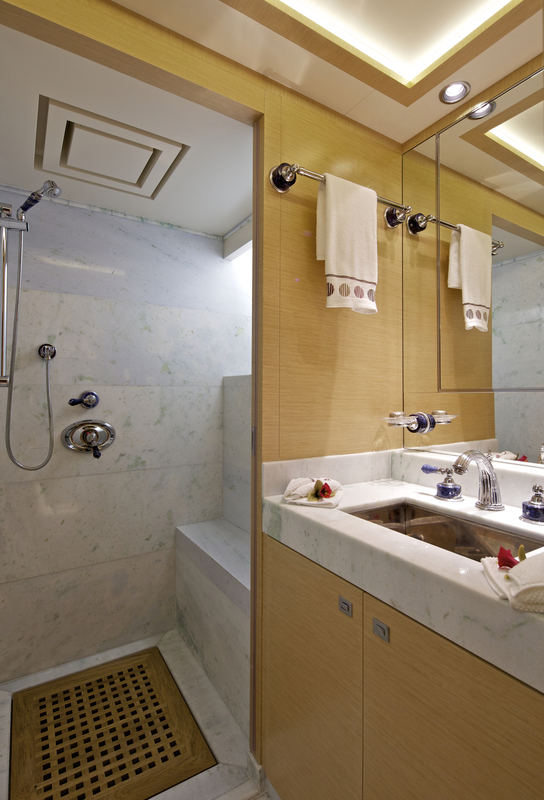 A crew of eight professionals is available to cater for all your needs and wishes, sleeping in two Pullman, one king, two queen and four single beds. 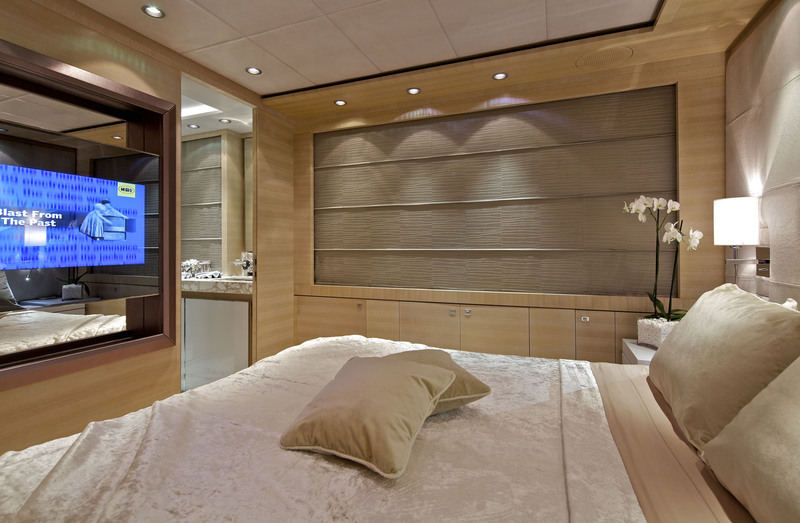 Charter guests will find accommodation aboard O’PATI very comfortable and inviting, offering luxury amenities and great attention to detail. 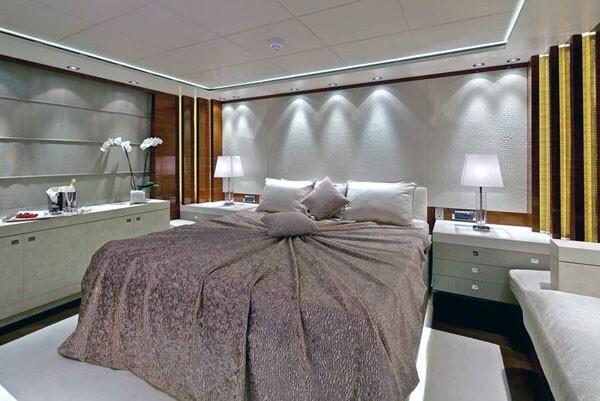 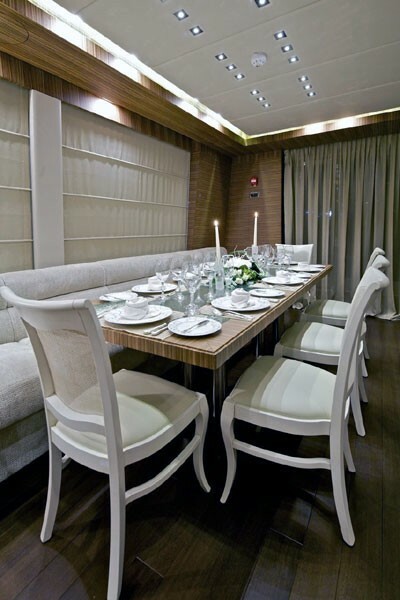 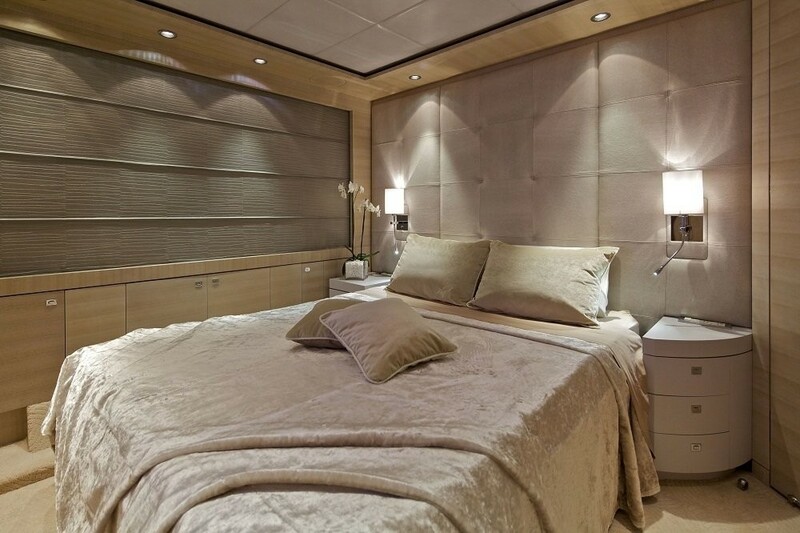 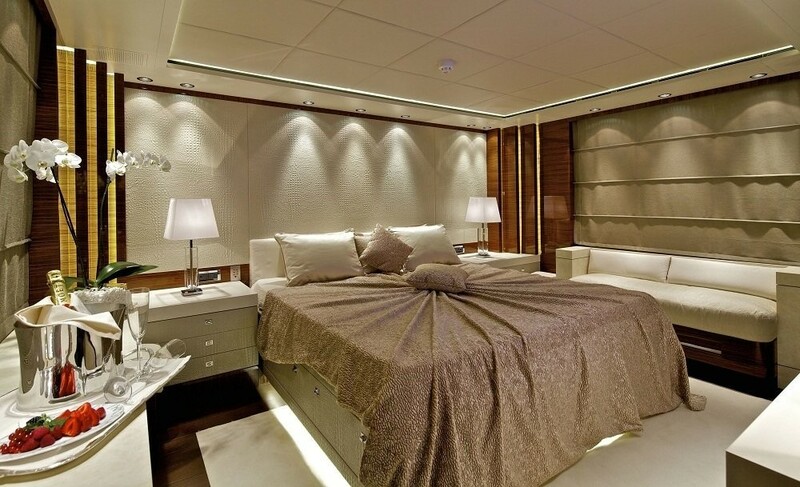 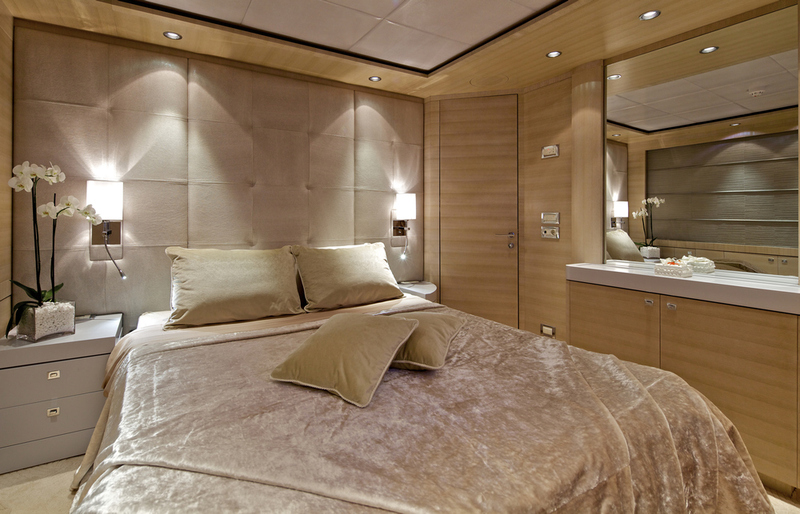 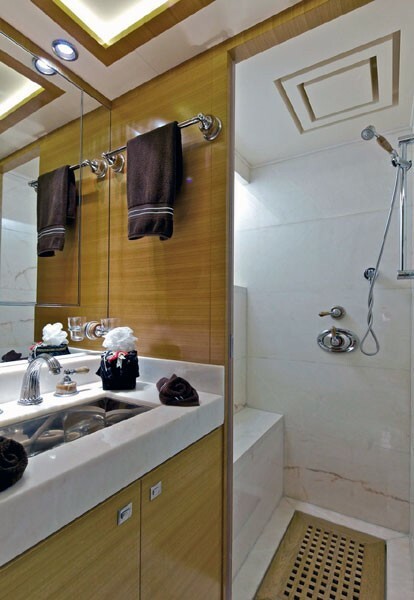 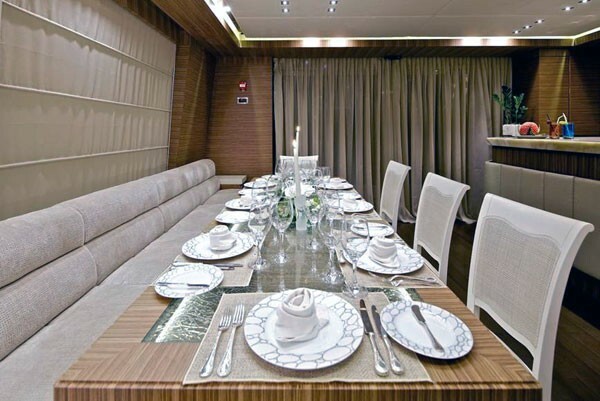 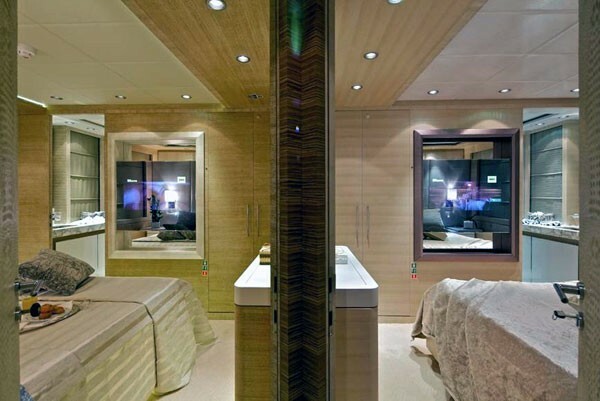 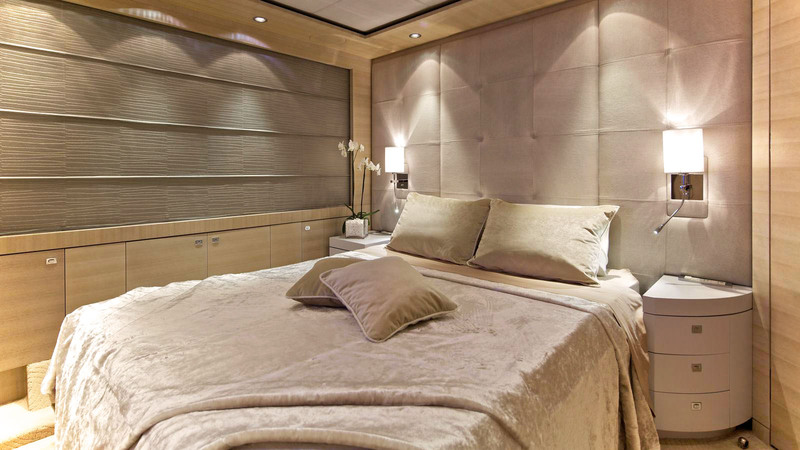 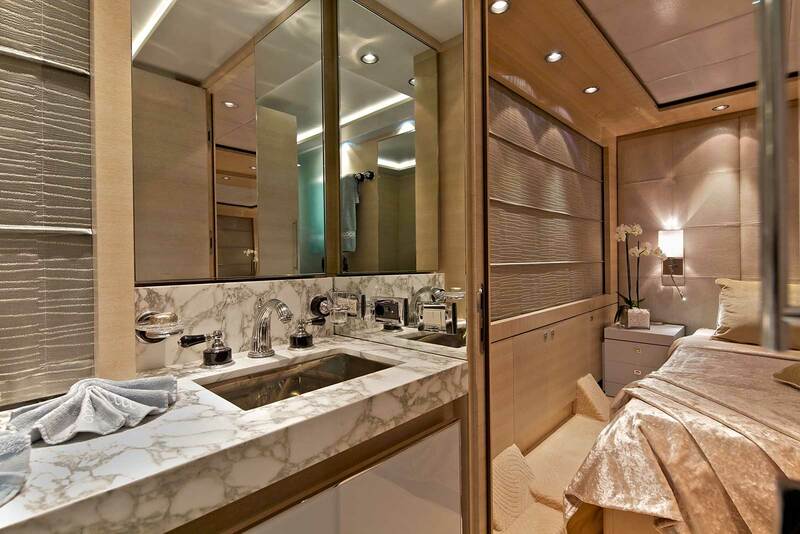 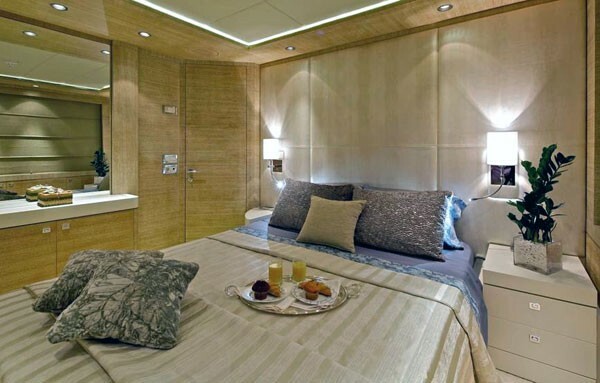 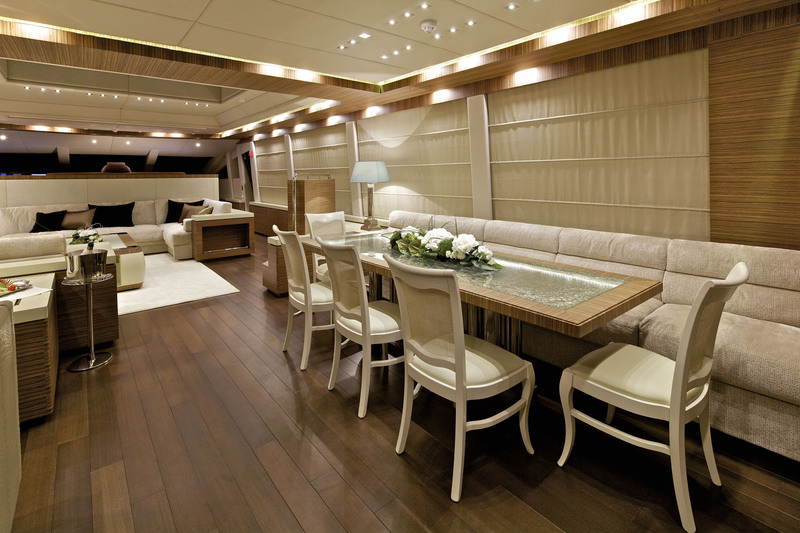 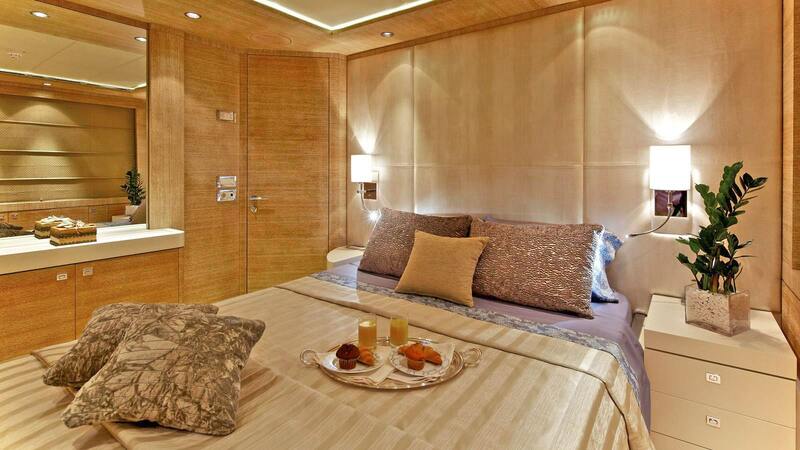 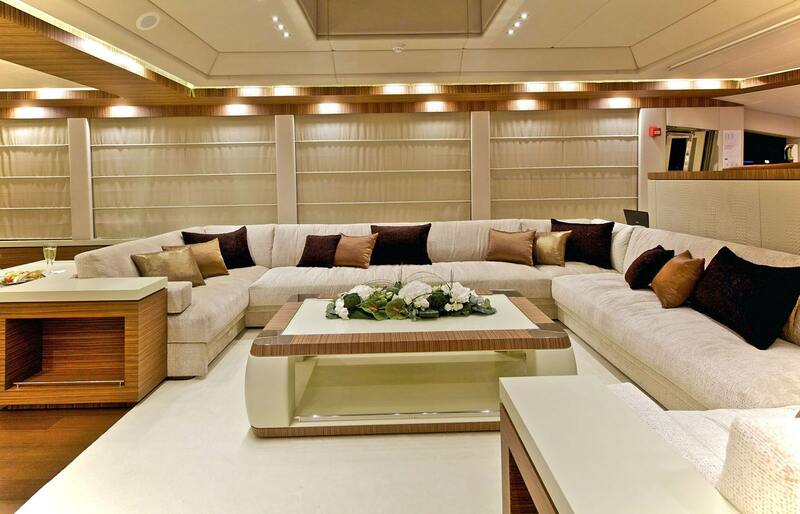 The suites include one master cabin located on the lower deck which features a king-sized bed. 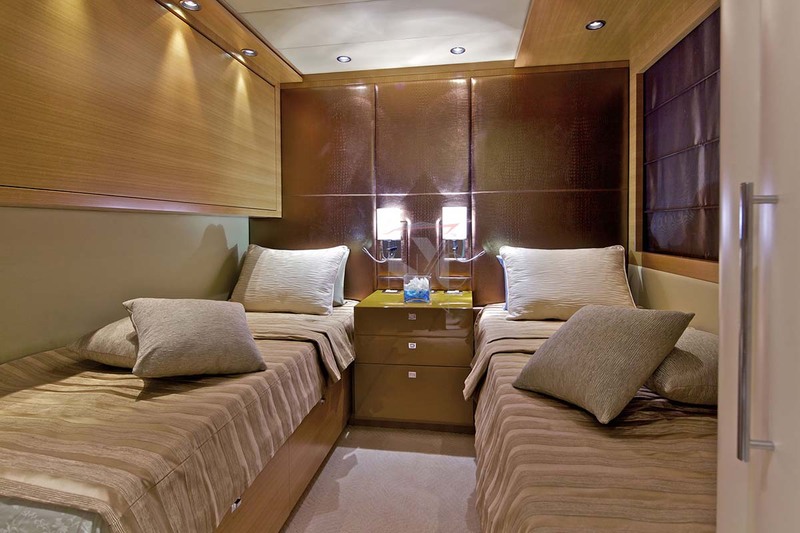 Two queen-size cabins and two cabins with twin beds are also situated on this deck, with twin cabins boasting an additional Pullman berth each. 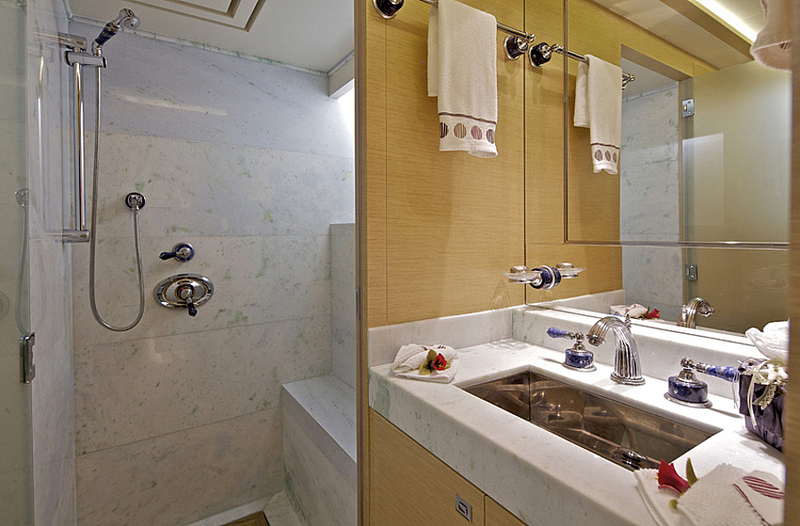 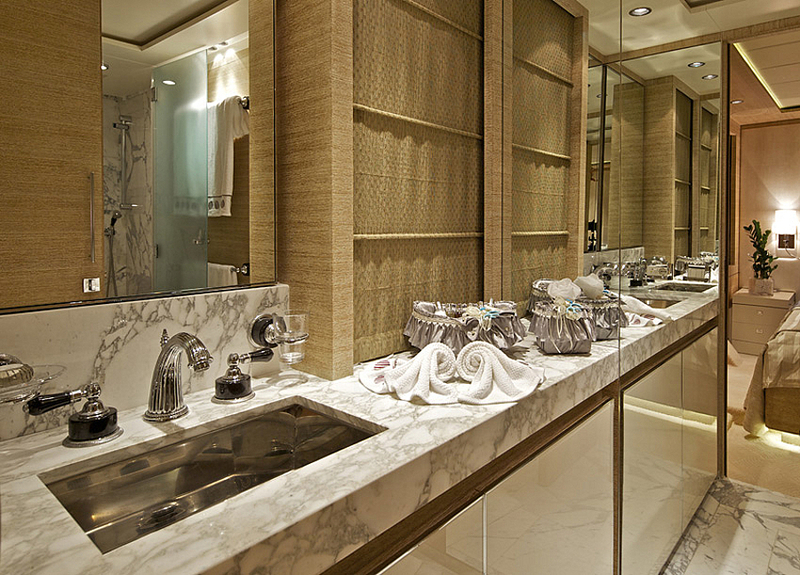 All cabins have their own en suite bathroom facilities. 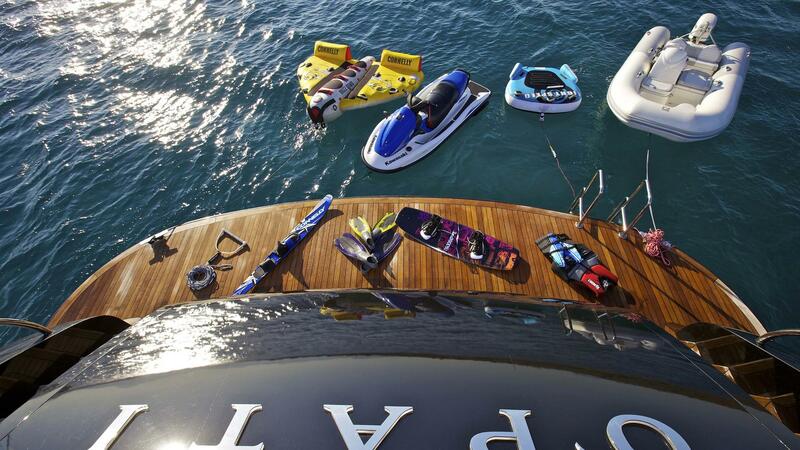 Water toys and extras include 2One ZAR 5.30m tender with 140hp outboard, one Kawasaki three seat jet ski, sea bob, water ski equipment, wake board, tubes, stand up paddle SUP, fishing and snorkelling equipment. 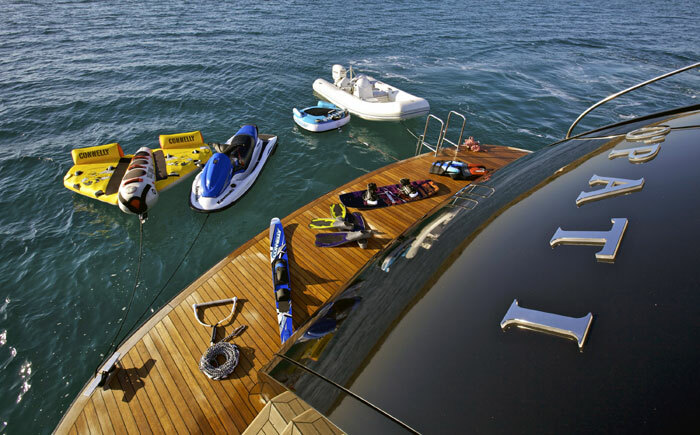 Fly board is available upon request and only rendezvous diving is possible. 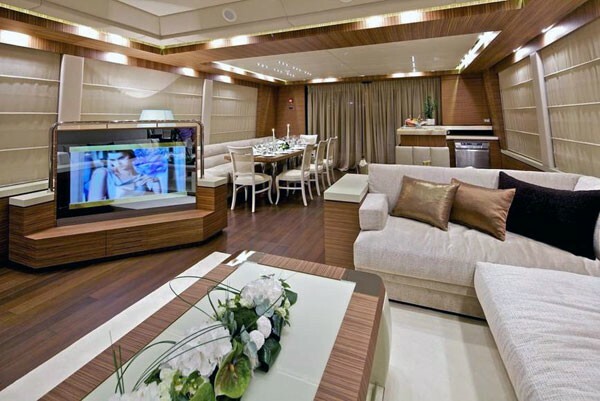 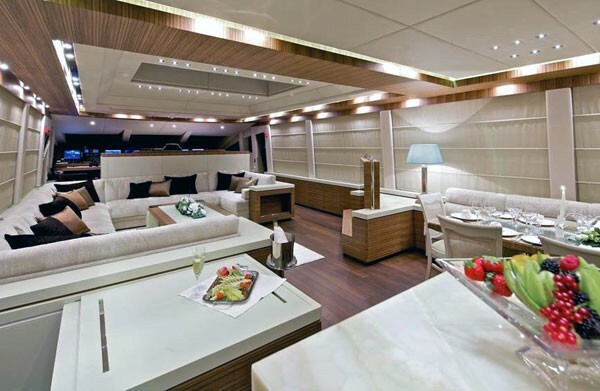 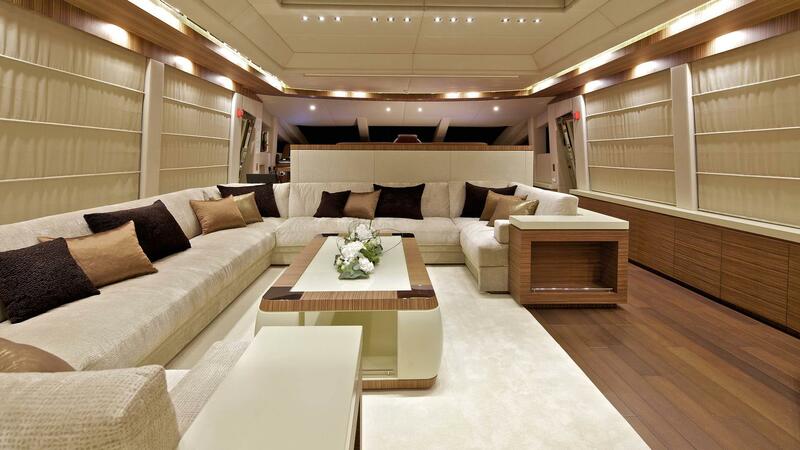 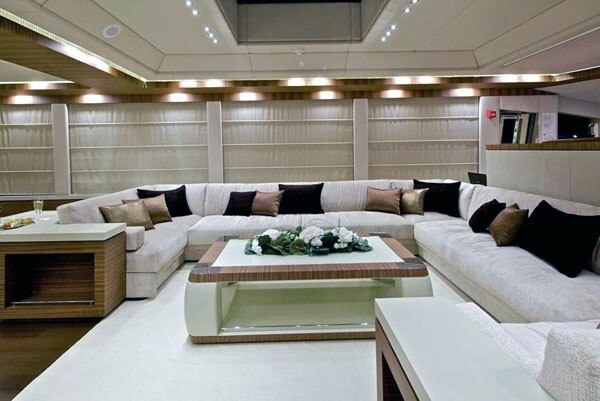 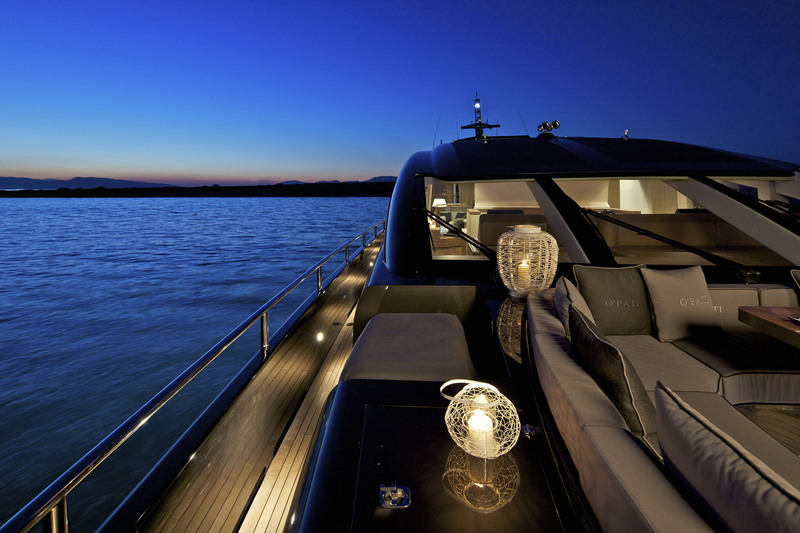 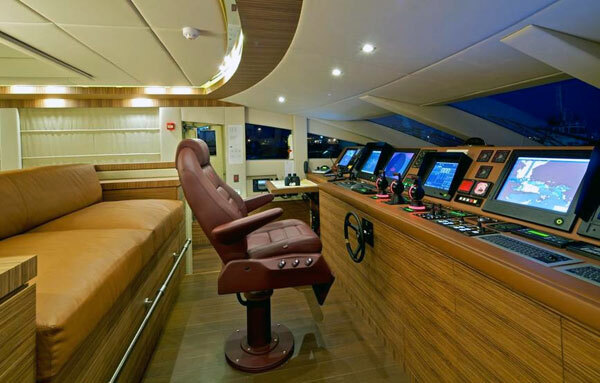 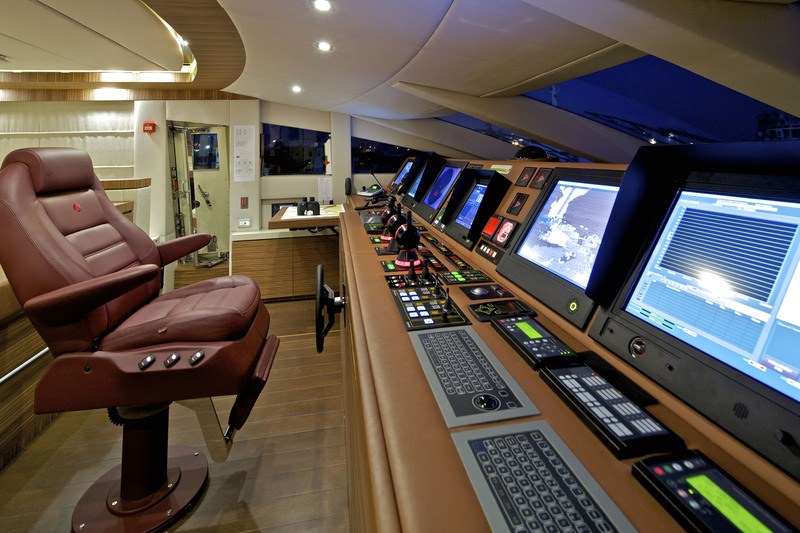 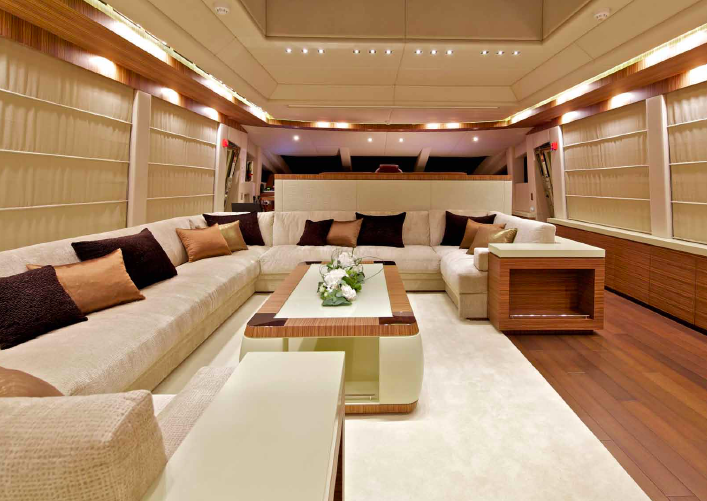 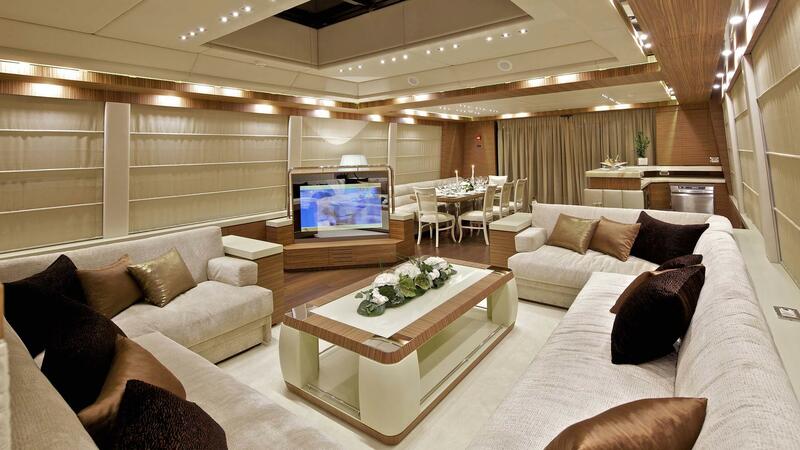 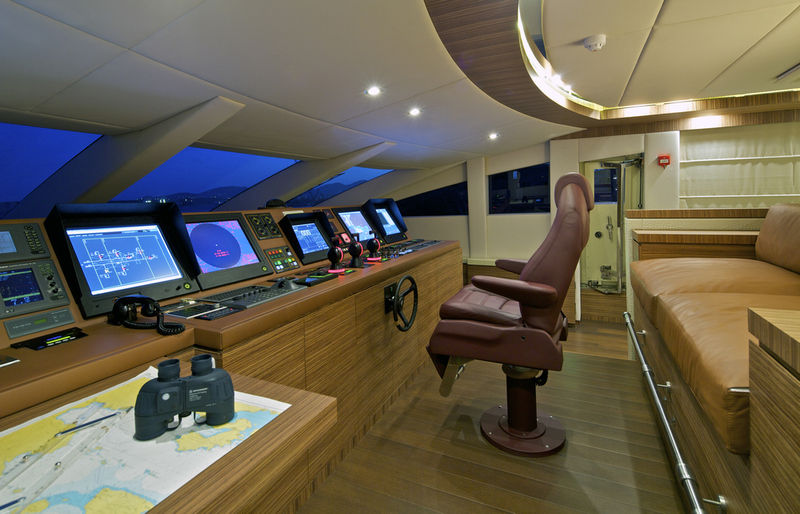 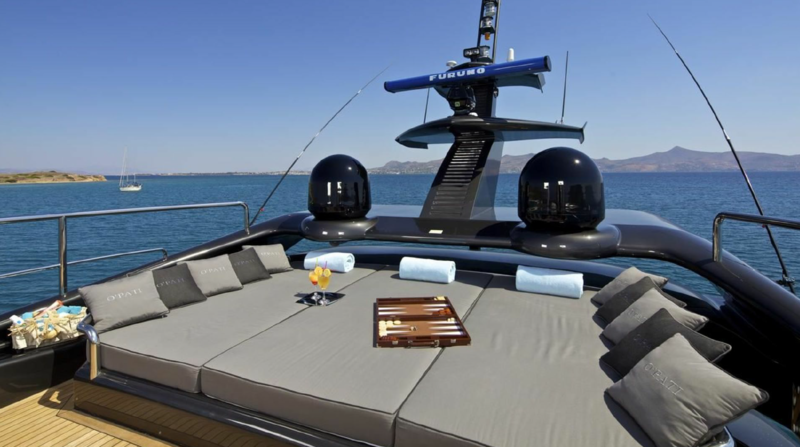 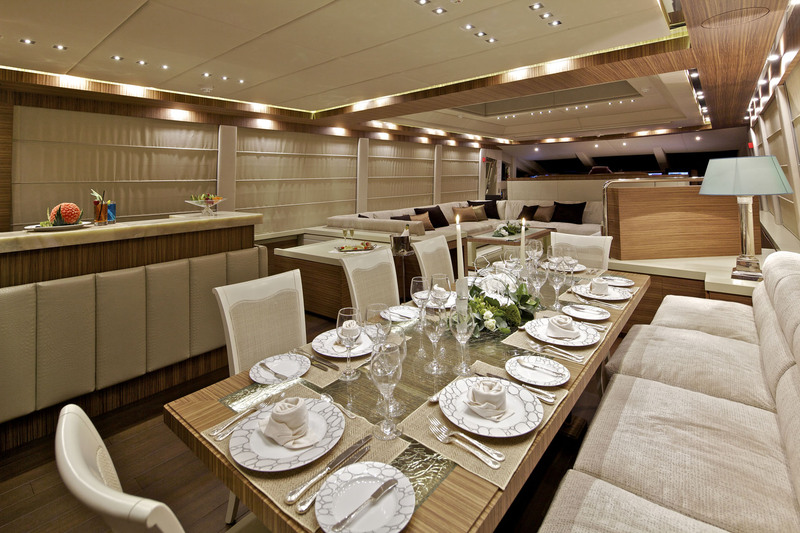 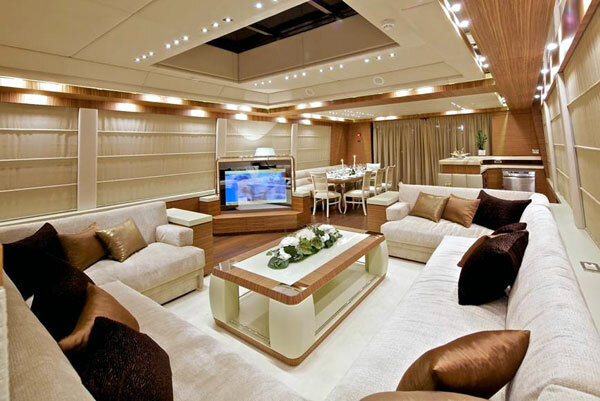 Furthermore, the yacht is equipped with LCD monitors, a Home Cinema System and AV surround system in all staterooms and saloons. 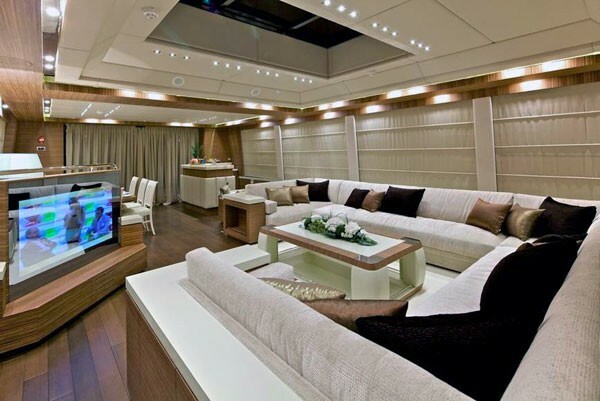 In addition renting O’Pati, you will have CD/DVD/Blue Ray/MP3 player, PS3, PS4, satellite receivers, iOS devices compatibility, Airplay, Apple TV and iPads at your disposal. 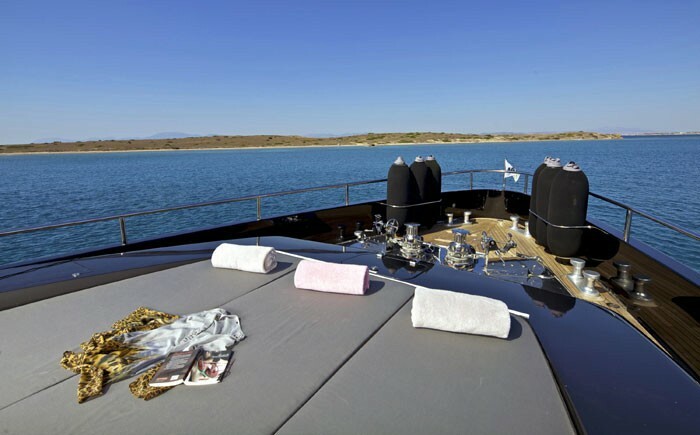 SATCOM, Satellite and 4G Internet is available in all areas.